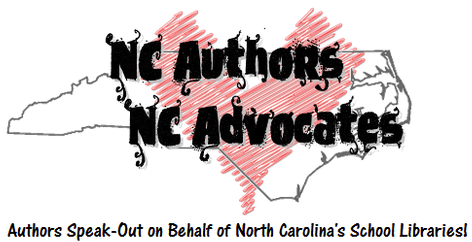 Inspired by the American Library Association's national campaign, Our Authors, Our Advocates: Authors Speak Out For Libraries, your NCSLMA advocacy team has developed a similar program featuring authors who are either from North Carolina or who just love North Carolina's school libraries. 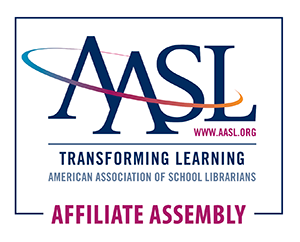 Our hope is that you'll be able to use these short, fun, impassioned videos to spread the word about school libraries and the important work you do on behalf of North Carolina children. We encourage you to share these videos with your students, colleagues, administrators and those who can make a difference. If you are an author who would like to contribute a video, send us a note! We'd love to have your voice added to this important project. David Gill is the author of Invisible Sun (coming out early 2012) Black Hole Sun, and Soul Enchilada. He has been a house painter, cafeteria manager, bookstore schleper, high school teacher, and college professor. He now lives on the Carolina coast with his family; plus multiple fish and two rescued dogs. Soul Enchilada was a 2010 Best Book for Young Adults and Black Hole Sun was nominated for the 2011-12 North Carolina Young Adult Book Award. Monika Schröder grew up in Germany and has worked as an elementary school teacher in American international schools in Egypt, Chile and Oman. Until recently she was the elementary school librarian at the American Embassy School in New Delhi, India. She is the author of THE DOG IN THE WOOD (Front Street, 2009), SARASWATI'S WAY (Farrar, 2010) and MY BROTHER"S SHADOW (Farrar, 2011). Last August she moved to Madison County, NC where she will focus full-time on writing. Lisa Yee is the author of several books for young people including Millicent Min, Girl Genius, Stanford Wong Flunks Big Time, So Totally Emily Ebers, Absolutely Maybe and Warp Speed. Lisa has won numerous awards for her contributions to childrens literature including the prestigious Sid Fleischman Humor Award and the Chinese American Librarian Association Best Book of the Year. Although not a North Carolinian by birth, Lisa and her side kick Peepy became honorary Tarheels when Lisa spoke at NCSLMA's featured Author Luncheon in 2010 and was one of our keynote speakers in 2017. Allan Wolf is an author, poet, performer and educator who lives in Asheville, North Carolina with his wife and three kids. Allan is the author of numerous books for kids and young adults, including The Blood-Hungry Spleen and Other Poems About Our Parts, New Found Land: Lewis and Clark’s Voyage of Discovery Immersed In Verse: An Informative, Slightly Irreverent & Totally Tremendous Guide to Living the Poet’s Life and Zane’s Trace - which won the NC Young Adult Book Award for Middle School in 2009.